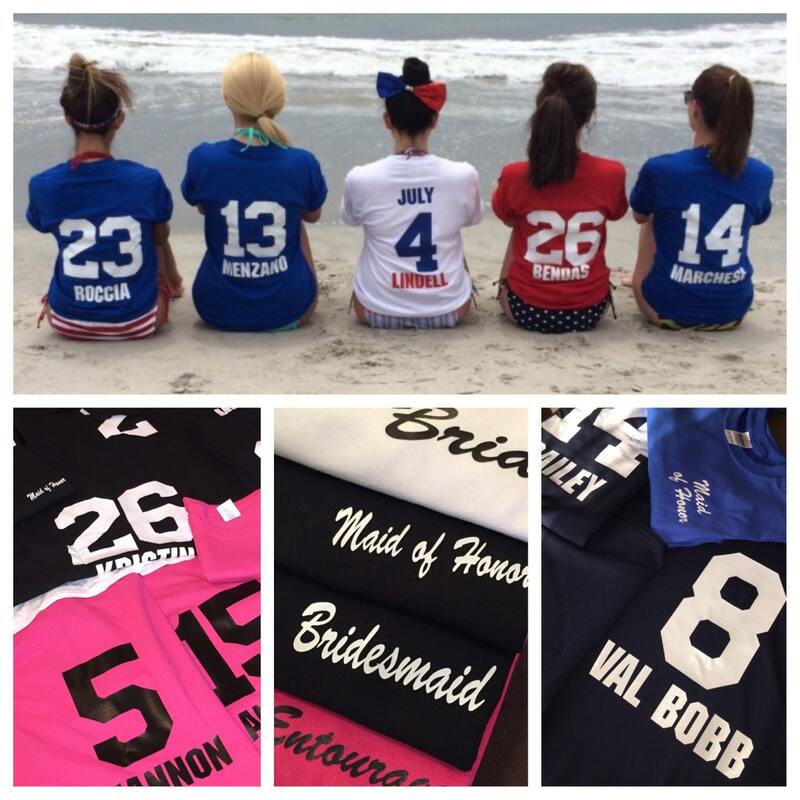 Similar to a sports jersey, these bridesmaids shirts display how long each girl has known the bride in years with last names added. I did these for my wedding, which was on the fourth of July! They are a great keepsake for the bridal party and the Bride! On the morning of my wedding, the girls cut the sleeves and necks of the t-shirts to make them stylish and able to slip over the wedding hair styles. Last names can be above the numbers or below, just specify when you order. If you do not specify, last names will be above the numbers. The front of the shirts displays the bridal party title of each member of the bridal party (located on the front left chest in cursive)-Maid of Honor, Matron of Honor, Bridesmaid, Honorary Bridesmaid, Flower Girl, Mother of the Groom, Mother of the Bride, etc. 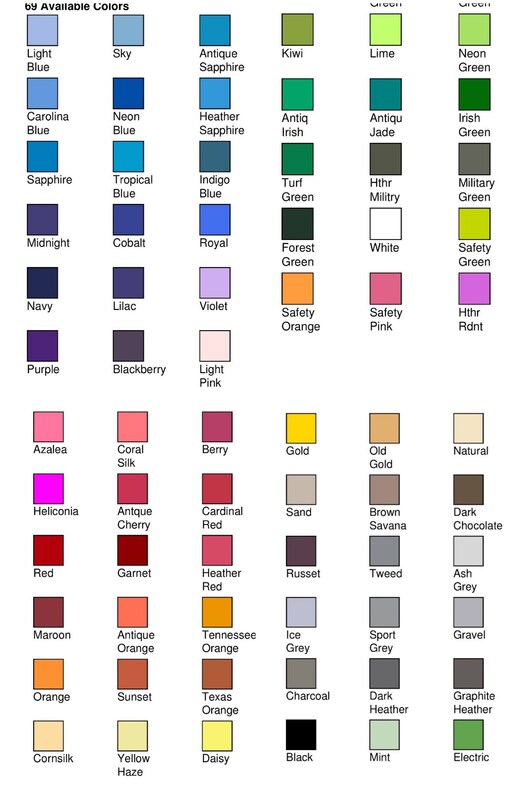 Shirt Colors Available: We can do any and all standard colors, please see pictures for listed colors. Include the following information when you order. Just COPY ANF PASTE the below information in the note section at the end of checkout and fill in the spots. Continue for entire Bridal Party. Be sure to select the correct sizes when ordering. You will enjoy these! 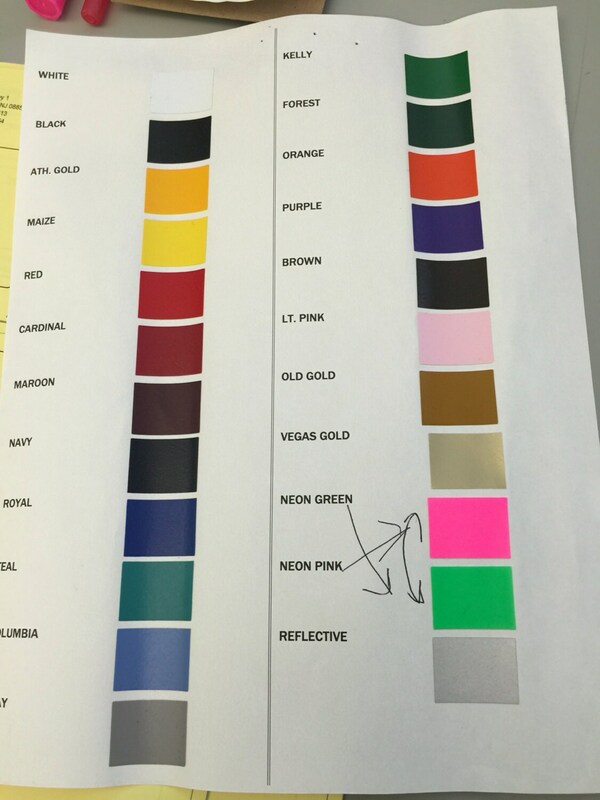 All shirts are custom made with the highest quality vinyl and are heat sealed with an industrial heat press. They are 100% authentic and they are guaranteed to last forever without peeling. All shirts are made from 100% cotton and made from preshrunk material so they will not shrink in the washer and dryer. These are regular unisex adult t-shirts. Please verify sizes before ordering. 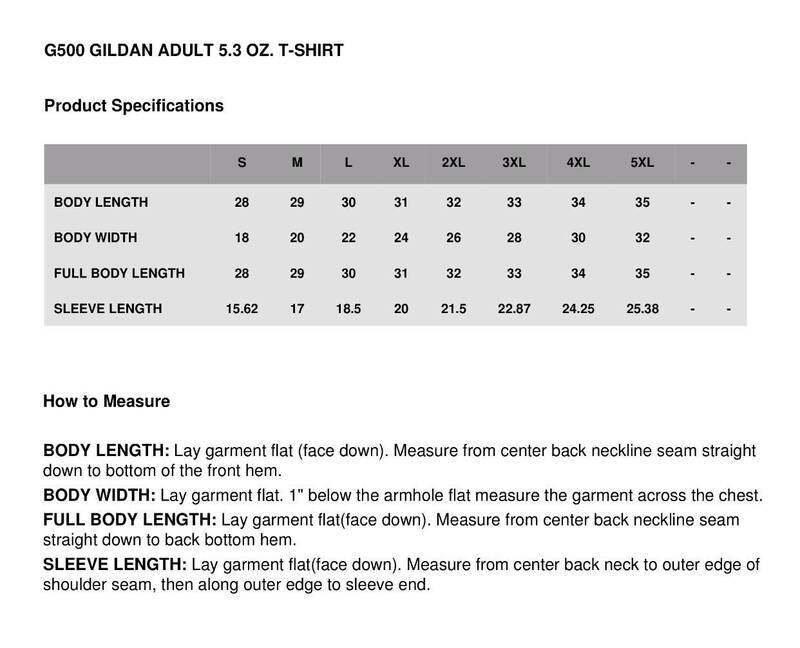 I have a size chart if you are unsure. If you would like women's style shirts, I have them listed under another shirt listing. Thank you! I wish i would have ordered the shirt one size smaller but that is on me. The shop did a fantastic job on my Bride Jersey Shirt and I will be purchasing from here again when i am ready to have them made for my bridal party. I had it within two weeks and it looks perfect! Highly recommend! Shirts turned out great!! I can’t wait to give them to my bridesmaids! I will definitely be returning to the shop! The tee shirts are perfect, received them very quick, pleasure to deal with couldn’t be happier ! The front printing was smaller then I was hoping, the shirts are unisex sizing so they are huge, but they look nice and the store was AMAZING to do business with.